In the early hours of August 27, 2018, Carolyn June (Townsend) Maron, passed away with a very silvery full moon to light her way. She was in her 86th year, and just a few months short of her 65th wedding anniversary to her loving husband, Donald Earl Maron. Carolyn was diagnosed with Alzheimer’s disease 11 years ago, and spent the past 9 years at the skilled nursing facility at Shell Point. A native of Cadillac, Michigan, Carolyn was the daughter of Earl and Gladys Townsend. She graduated from Cadillac High School and earned her bachelor’s degree from Albion College in Albion, Michigan. After raising four children, Carolyn returned to school to earn her master’s degree in education from Temple University. Carolyn and Don were married in Michigan and within about a year moved to Toul, France, where Don served out his military service in the army. They later lived in S. Weymouth, MA; Pensacola, FL; Lancaster, PA; and Ft. Myers, FL. 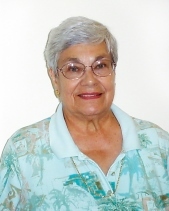 Carolyn loved to travel and was an avid reader and an outstanding cook. She was also an accomplished musician, often serving as the staff organist and pianist for the various churches the family attended. Over the years, she traveled to numerous venues to provide music for weddings and funerals and also taught piano to kids in the neighborhood. In addition to her husband Donald, Carolyn is survived by daughter Cara Barineau and her husband Benjamin; daughter Lisa Applegate and her husband, Richard; daughter Paula Lawrence and her husband Douglas; son Neal Maron; grandson Brian Applegate and his wife Angela; grandson Douglas Applegate and his wife Kristen; granddaughters Sarah Lawrence, Rebecca Lawrence and Katherine Lawrence; great-grandson, Jakob Applegate; and her brother Robert Townsend. A memorial service is scheduled for Saturday, Sept. 8th at 2:00 pm at the Unitarian Universalist Church of Fort Myers, 13411 Shire Lane, Fort Myers, FL 33912. The family requests that in lieu of flowers, donations be made to the Alzheimer’s Association.